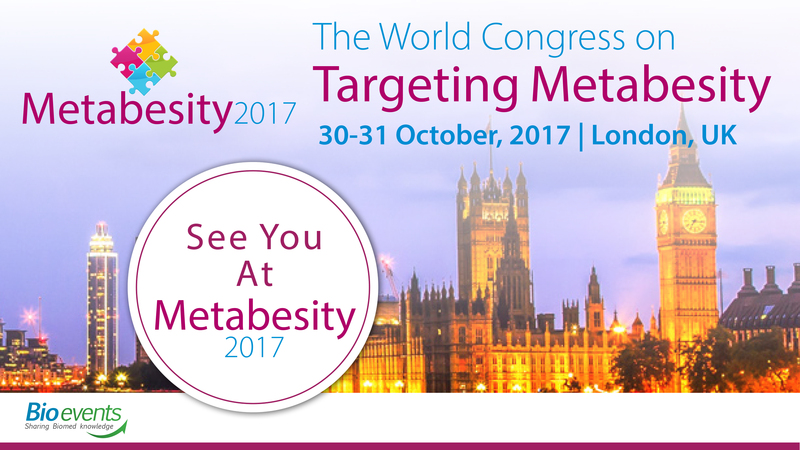 We are excited to announce that The World Congress on Targeting Metabesity (Metabesity2017) which will take place 30-31 October 2017 in London, UK. The term "Metabesity" expresses the links among diverse major diseases and conditions to shared metabolic roots. Diabetes, obesity, and cardiovascular diseases, joined by neurodegenerative disorders, cancer, and even the aging process itself, share metabolic and inflammatory provenances. Participants at Metabesity2017 will have the unique opportunity to gain first-hand knowledge from key opinion leaders by scheduling one-on-one meetings during the coffee and lunch breaks at the Congress. Metabesity2017 will be of high value to anyone with a responsible role in the life sciences world. We look forward to meeting you in London! To download the Sponsorship and Exhibition Prospectus, please click on the below image.